In 2017, I participated in discussions about the implications of choosing between major and apparently lesser forms of constitutional change. The occasion was the Melbourne Forum 2017: a joint venture between the intergovernmental democracy assistance organisation International IDEA and the Constitution Transformation Network at Melbourne Law School. The Forum brought together more than 20 constitution building practitioners and scholars from across Asia and the Pacific. Under the rubric of ‘From Big Bang to Incrementalism’ the Forum explored the differences in terms of process stemming from the choice between a new Constitution or amendment of an existing one and the difficulties of attempting major substantive shifts in constitutional arrangements, of which devolution and changes in the form of government were examples. The Forum yielded a range of fascinating insights. Amongst them was a view on which virtually all participants were united, that almost any constitutional change involves a biggish bang of some kind. Choices of process and substance have consequences nevertheless, however, on which the Forum threw considerable light. The one particularly relevant for present purposes is the choice between making a new Constitution or altering an existing one. Some of the consequences may be identified as follows. A new Constitution is less likely to be affected by legal constraints on the process by which it is made and design choices made; attracts demands for significant public participation at key points in the constitution making process; offers a constitution making moment of high symbolic significance, filled with both opportunities and threats. Amendment of an existing constitution, on the other hand, must comply with the amending processes that the constitution prescribes; will retain at least some features of the current constitution, into which the changes must fit; may attract judicial review of the validity of the amendments, in jurisdictions where the doctrine of unconstitutional constitutional amendments is recognised; is less likely to provide opportunities for public participation; may be a more prosaic event. These differences do not necessarily make amendment any easier. On the contrary, in at least some cases, the need to comply with existing procedures, running the gauntlet of ordinary politics within the framework of an existing constitution, may make amendment more difficult. The apparent failure of the recent attempt at constitutional change in the Republic of Korea (ROK) offers a useful case study for this purpose. As previous posts in this series have explained, the present Korean Constitution is, in form, the 9th amendment to the Constitution of 1948, made in 1987 after the pro-democracy uprising. It is deemed to have ushered in the sixth republic. Despite occasional calls for revision of the Constitution, no changes have been made over the intervening 30 years, which have been a period of constitutional transition. The current President, Moon Jae-in, however, took office on a platform that included constitutional change. The proposals were extensive, including provision for forms of direct democracy; reduction of the voting age; some strengthening of rights; movement in the direction of local self-government; and changes to the powers and term of the President. Securing them through amendment, rather than a new Constitution, was entirely consistent with previous practice in Korea. Whether they would have been sufficiently extensive to cause announcement of the seventh republic in accordance with Korean practice is unknown. The procedure for amendment of the Constitution of the Republic of Korea is laid down in sections 128 to 130. Amendments can be introduced by an absolute majority of the Assembly or by the President; must be put before the public for 20 days or more; must be passed by a two-thirds majority in the National Assembly and approved at referendum by at least one half of the votes cast by at least one half of the members eligible to vote. Time limits for phases of the process are prescribed by the Constitution. The National Assembly must vote on proposals within sixty days from the public announcement and the proposals must be submitted to referendum within thirty days of passage by the National Assembly. Amendment of the Constitution must comply with the mandated procedures, but the procedures may be supplemented in other ways. In this case, President Moon established a special public advisory committee on the Constitution, associated with the Presidential Commission on Policy Planning, to prepare the proposals and to receive public submissions. The Korean case thus is an interesting example of building informal requirements for public participation into technical procedures for constitutional change. The President expressed the hope that this ‘people-oriented revision of the Constitution’ would pass through the relevant procedures in time to be put to referendum concurrently with the local elections, scheduled for 13 June. The timing was important to avoid the cost of holding a referendum on its own. The proposals were introduced into the Assembly by the President, after the Assembly failed to agree on a version of its own. In the event however, it proved impossible to pass them on time. The requisite majorities in the Assembly were not achieved in the time available. In yet another hurdle, described by Jongcheol Kim (in an earlier post in this Blog Symposium), the Assembly also failed to make the necessary amendments to the National Referendum Act, which had been struck down by the Constitutional Court because it did not provide for the diaspora to vote in constitutional referendums. Colleagues in the ROC will have a better take than I do on the underlying reasons for the failure of these proposals. These are likely to include the other extraordinary events that were underway on the Korean peninsula during the same period, involving meetings first between President Moon and President Kim Jong-un of North Korea and then, in Singapore, between the latter and President Trump of the United States. It would not be surprising if proposals for constitutional change were superseded in national priorities in these circumstances. The present point for comparative purposes, however, is that both the technical reasons for the failure and the occurrence of unexpected events are familiar hurdles for constitutional amendment, although of course the details differ. Typically, constitutional amendment tends not to be driven by urgency; it can be difficult to obtain cross-party support; it lacks the magic (as well as the dangers) of a major constitutional moment; and it is vulnerable to the new and unexpected circumstances that create other priorities. As the earlier posts in this Blog Symposium also suggest, however, even a failed attempt at change may not be wasted. Whatever the outcome, the proposals that were developed and the manner in which they were handled under the auspices of the President and in the Assembly added to the store of national experience in terms of both process and substance. There is nothing in the history of these events to suggest that these or similar proposals may not be put forward again, possibly with more positive outcomes. In the meantime, the existing Constitution provides a workable framework for government, with strong institutions, from which the ROC can continue to benefit. 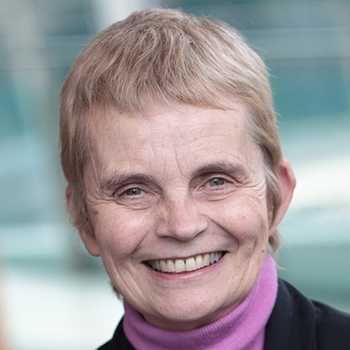 Cheryl Saunders is Laureate Professor Emeritus at Melbourne Law School, Co-Convenor of the Constitution Transformation Network, and President Emeritus of the International Association of Constitutional Law (IACL).